Aren't you lucky! 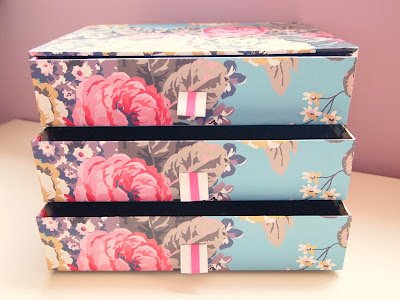 I love the drawers, the floral print is so pretty. I really need to get down to TK Maxx, I've not been to my local one in years! xo. That is so cute for a set of drawers! That's such a great find! :) I love the little stars on the inside, so pretty! It's absolutely gorgeous Alice. Excellent find! 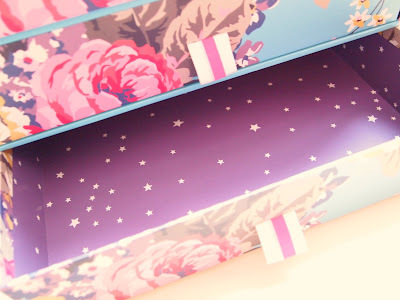 Have you seen the really pretty Joules picnic blanket and flask set in the Boots Christmas section? I'm gonna stalk the 75% off sale day and hope there's one left! Ooo very savvy shopping, well done you! Those are lovely - I adore the TKMaxx homewares section! There are so many great bargains to be found!